4 star brutal Blaxploitation horror/thriller. 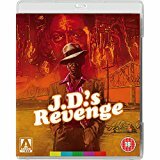 First released in 1976, JD’s Revenge was one of various Blaxploitation films to move into the horror market, alongside Blacula and Blackenstein. It was written by Jaison Starkes (The Fish That Saved Pittsburgh) and directed by Arthur Marks (Detroit 9000, A Woman For All Men). It is presented here on Blu-ray following 2K restoration courtesy of Arrow Video. 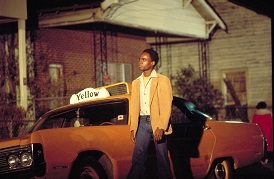 The film opens in 19942 New Orleans. A mobster argues with a woman in a meat locker. He slits her throat and her brother finds her body. However he also has a knife and hands covered in blood, so he is accused of her murder and shot to death by a third party. The mobster is J.D. Walker (David McKnight – Under Siege, Hollywood Shuffle) and the woman is his sister Betty Jo Walker (Alice Jubert – House on Greenapple Road). 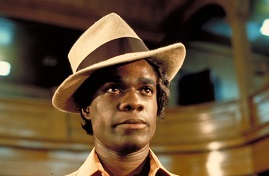 Fast forward to the mid seventies and mild mannered law student Ike (Glynn Turman – Men of Honour, Super 8) is studying with his girlfriend Christella (Joan Pringle – The White Shadow, Original Sin). It’s their anniversary so they decide to go out to celebrate and end up watching a hypnotist. It’s all very amusing, but when she makes them believe they are in a cold place Ike suddenly finds himself seeing the events that took place all those years ago in 1942. He brushes it off, but as the days go by he still keeps having the memories and he gradually begins to change into J.D., looking for revenge against those who wronged him! J.D.’s Revenge is a very enjoyable film, much more brutal than I expected. It’s a really good story, well written and the acting is also impressive, especially Glynn Turman, whose transformation into the woman hating J.D. is brilliant. With lots of special features, this one is certainly worth adding to your collection. J.D.’s Revenge is available to buy now on Blu-ray.